We’ve set ourselves the target to become Europe’s leading business messaging company, and with the support of our customers, suppliers and staff, we’ve made great progress. Today we’re delighted to announce significant developments which now turn that goal into reality. Esendex has been acquired by HgCapital, a major European technology investor. Hg has a portfolio of technology companies across Europe, including Mobyt, the Italian market leader in business communications, with operations also in France. In addition to this, Mobyt has recently acquired SMSEnvoi, a highly successful French messaging company. 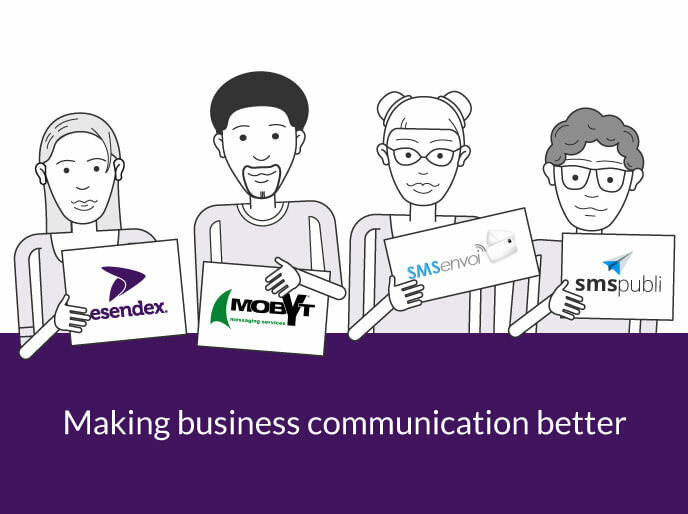 We’ve been busy here at Esendex HQ too, last week acquiring SMSpubli, an incredibly fast-growing Spanish provider of business messaging services. The four businesses will come together as part of the Esendex Group of companies, though they will retain their own brands and identities. In this way we can serve the widest range of business sectors and territories across Europe and Australia, bringing all customers, both new and existing, the benefits of the wider group: new products, new technologies and shared best practice. The press release regarding the details of this transaction is available to view here. If you have any questions at this time, please contact your account manager or a member or our team on 0345 356 5758.